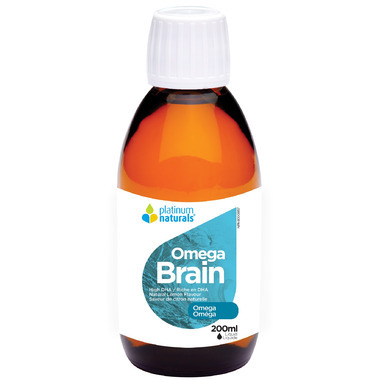 Platinum Omega Brain is formulated to help with the development of your child’s healthy brain, central nervous system and vision. Playing a key role in brain development. Enhancing visual and cognitive functions. Brain growth occurs primarily during the early years of life. According to the Merck Manual, a newborn’s brain is 25% the size of an adult brain. By the age of 1, the brain is halfway through its postnatal growth and its size has reached 75% that of an adult brain. By the age of 3, 80% of the brain’s growth cycle is complete and by the age of 7, this increases to 90%. DHA or docosahexaenoic acid, is a long-chain essential fatty acid that serves as a major building block of the brain and the retina. In fact, two thirds of the brain is made up of fat, of which DHA is the major component. It is therefore not surprising that a study (conducted on 4 year old children) found that pregnant mothers given DHA and EPA supplements had children whose I.Q. test scores were higher than those children whose mothers were given a placebo. Adults: 1 teaspoon once daily after a meal. Age 9-18: 1 teaspoon once daily after a meal. Non-Medicinal Ingredients: Rosemary extract, ascorbyl palmitate, natural tocopherols, natural lemon flavor. I really like this product. My 2 yo son considers it as a treat! It smells a bit fishy, but lemon scent is also quite strong. I wish there was a measuring spoon or a syringe.